Special thanks to Bob Feldman from shin-ei.com who answered several questions of mine about the history of the Shin-Ei company. It originally came from Japan. At that time, Japan was in its "Golden Sixties" economic miracle, and manufacturing was booming. Many guitar companies like Teisco, Aria, Guyatone.. appeared at that time in Japan and exported affordable instruments, with many that were "heavily inspired" by their american counterparts. 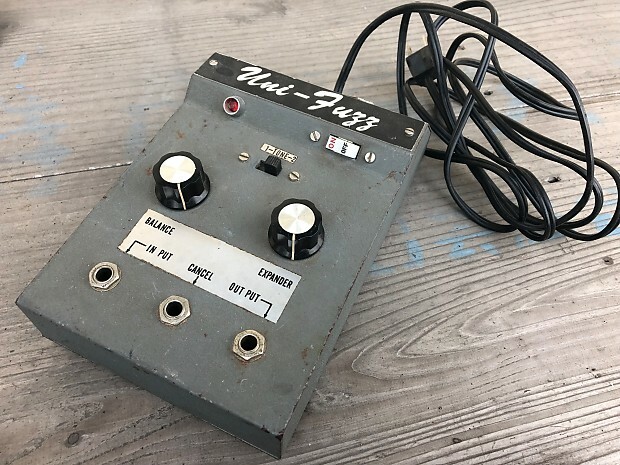 The first Super Fuzz circuit was integrated in a multi-effects unit that looked like an amp, the Honey Psychedelic Machine. It integrated a fuzz, a tremolo and a vibe. Needless to say, this effect is crazy rare nowadays. They went bankrupt in 1969 and were taken on by another company Shin-Ei. 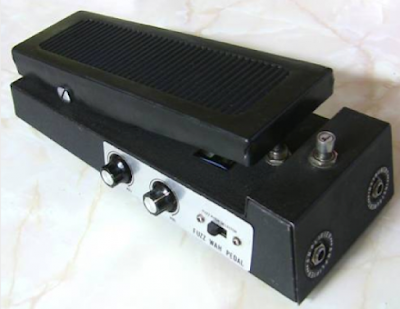 Shin-Ei designed a lot of famous effects that were sold in the 60s like the Uni-Vibe, the Companion Fuzz FY-2...etc. They also had the Companion brand and they use both brand whenever they liked (aka randomly...). They often licensed their design and sold them under many names like Apollo, Jax....etc. Still crazy rare as well! The electronics genius behind all these effects is Fumio Mieda, who also created the Korg MS-20. Notably, he created the Uni-Vibe, the Super Fuzz, the Companion FY-2 Fuzz... and still have patents under his name in 2017! Here is a list of all the brands that sold the FY-6: Apollo, Companion, Shaftesbury, Mica, JAX, Kent, Teisco, Marlboro, Memphis, Bruno, Boomer, Alex, Ace Tone, Aria, Avora, Crestwood, Crown, Diamond, Elk, Electra, Excetro, Goya, Hohner, Honey, Kimbara, LRE, Lord, Luxor, Mana, Maya, Mayfair, Mica, National, Northland, Oscar, Pax, Rands, Sekova, Selmer, Tele-Star, Tempo, Thomas, Zenta, Royal... Crazy isn't it? They now sell cheaper than the Companion or the Shin-Ei FY-6, but under the hood, they are all the same! Another brand that sold it was.... Univox! This version is also called the "u-1093" version. It was painted in gray instead of black and uses the same exact circuit as the Shin-Ei. Univox is a brand with quite a complex story as well. To make it short: Univox was the US importer of Shin-Ei. In details, Unicord Corporation was a transformer manufacturer that acquired the Amplifier Corporation of America based in New York. In 1967, Unicord was purchased by Gulf + Western (the oil company). Around this time Unicord merged with Merson, a guitar importer that made lines like "Tempo", "Giannini" and "Hagstrom". This new company was called "Merson Musical Products, A Division of Unicord Incorporated, A Gulf + Western Systems Company". They started selling guitar, amplifiers and effects under the Univox name. The settings were moved on top of the pedal for better access compared to the previous model. The fuzz was delivered with a small little switch that could be connected to the "cancel" input jack and act as a kill switch. 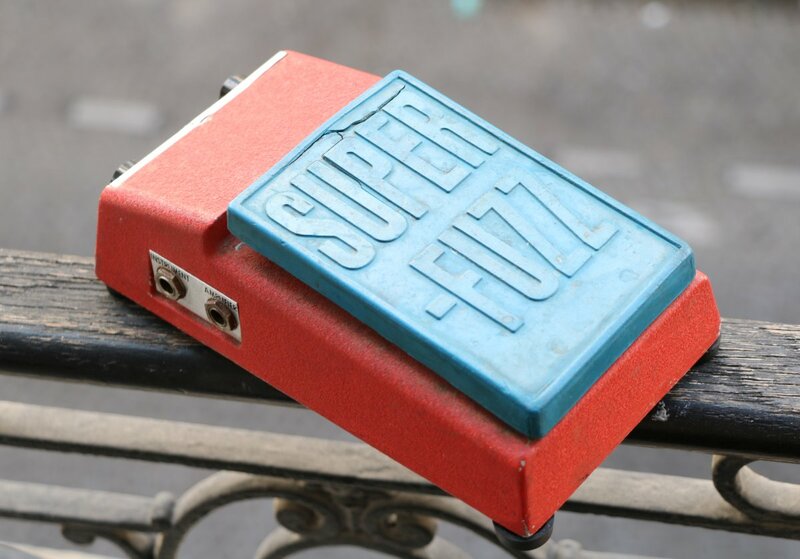 Around 1970, the FY-6 changed look completely and became the Super Fuzz, with its amazing red/blue look. This is the U-1095 version. It is the same circuit as the FY-6 version, except for a small thing that we will see in the circuit analysis... This version was super popular and was used by Pete Towshend live. The white and grey versions seem to have a more fragile paint because most of the examples I found online had paint wearoff. It was sold for 39 dollars at the time, which is around 255 dollars today. Of course, they were also sold with several brands like Crown, Malboro...etc. In 1978 Unicord stoped making the Univox line of guitars and equipment. They switched to an original line called "Westbury", which lasted until about 1982. They were merged with Korg later on. Did the Super Fuzz vanished from the surface of the earth? 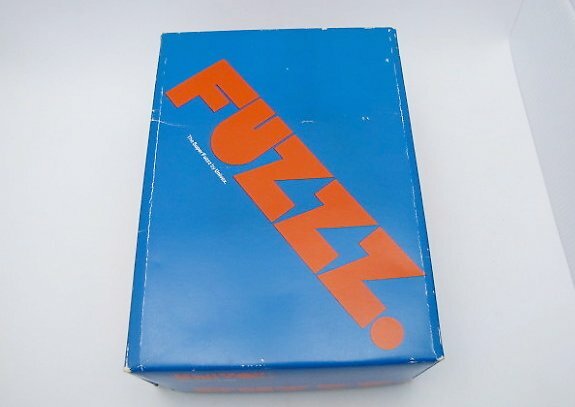 How can I get a Super Fuzz without spending all my dollars on a huge vintage thing you may ask. 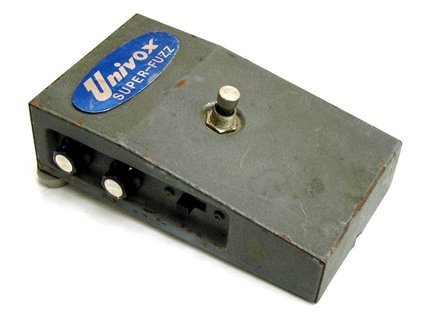 Well, the story of the Univox Super Fuzz did not end with Univox disappearing. 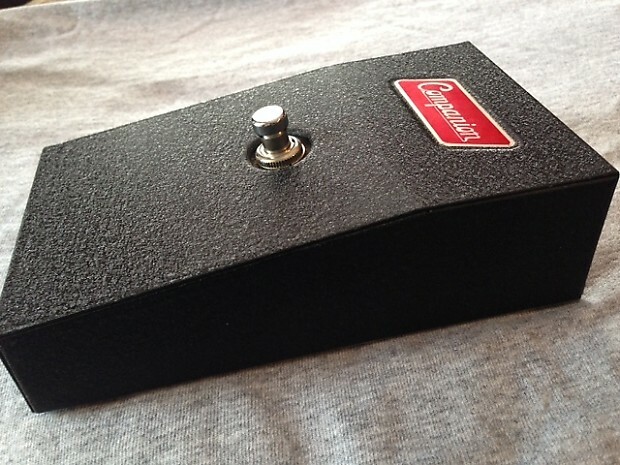 Many guitar pedals were later inspired by this fuzz monolith. One of the most famous today is the Boss Hyper Fuzz, which integrates a bass/trebles active EQ compared to the original model. It was issued in 1993, and even if only a few were made, it became really popular in the Stoner / Doom music movement (listen to Electric Wizard). Shin-Ei also raised from the ashes and was reborn recently in the US. 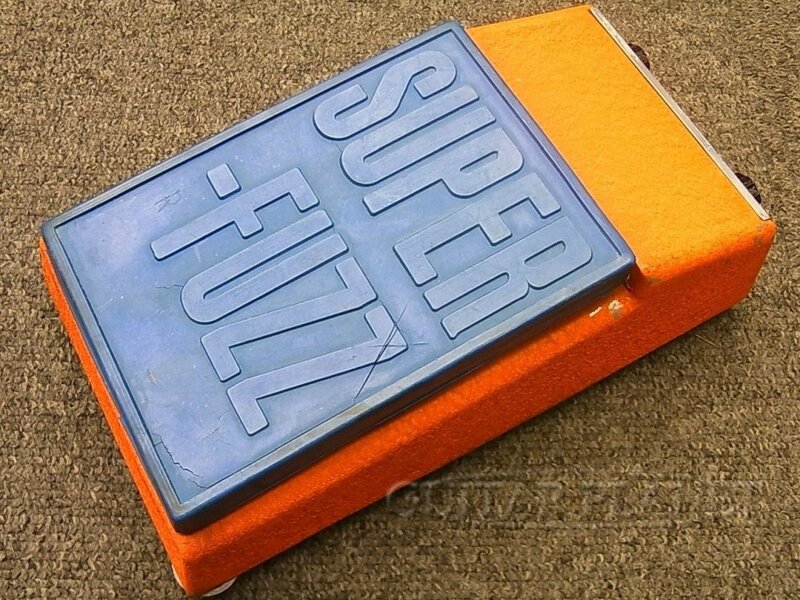 They currently make a reproduction of the original Honey FY-6 Super Fuzz. There it is! I hope you enjoy this article. Hopefully next part will be out soon! If you like this post, you can like Coda Effects facebook page for updates or follow us on Instagram. Univox.org fan website is full of ressources about Univox. Unfortunately it no longer exists but you can still access it with the internet wayback machine website. 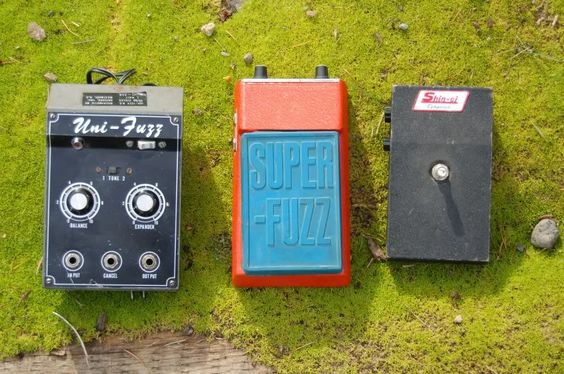 Great post on Vintage Guitar Magazine about the history of the Super Fuzz. Another great website that disappeared about the Super Fuzz, still accessible with the wayback machine. Permier Guitar article about the Uni-Fuzz. Shin-ei.com website of Shin-Ei / Honey now. 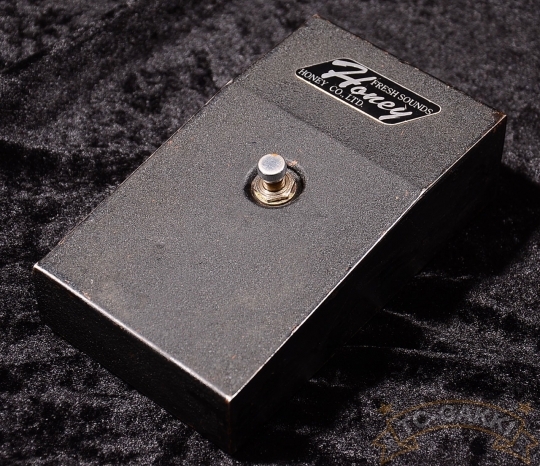 They mainly make reproductions of their vintage pedals, including the Honey FY-6 Super Fuzz.